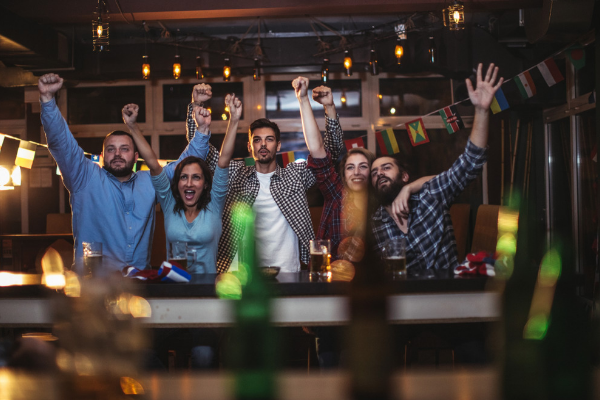 Although the first officially recognized Super Bowl–deemed retroactively as Super Bowl I–was played on January 15, 1967, it wasn’t until well into the 1970s that the ads aired during this sporting event became synonymous with marketing success. Today, having your Super Bowl ad recognized as successful, funny, heartfelt, share worthy or even just memorable means a marketer has truly reached the upper echelon of their career. “That’s a long-distance call, Doug!” This line uttered by actor Lester Speight, who played the “office linebacker” Terry Tate, is perhaps the funniest and most memorable line from this Reebok ad. Of course, there are many others you could choose from as well. The ad is a funny, over-the-top yet cathartic look at the everyday annoyances many people facing working in an office. It was also rated as the number seven best Super Bowl commercial of all time by Athlon Sports. Why It Did Well? More than likely, this ad was well-received due to its relatability. No one wants to feel alone in their misery and this ad serves to remind us that “everyone is miserable at work on occasion,” which is something very relatable. Taking home the prize for being the “most shared Super Bowl video of all time” is the Volkswagen Passat commercial. In the ad, you see a young boy decked out in full Darth Vader gear walking around his house attempting to use the power of “The Force” to make items move. He becomes disheartened as it doesn’t seem he has any power after all, and here he thought he was the mighty Darth Vader. Enter dad to save the day. Once he realizes what is going on, the boy’s dad starts his car with his key fob, allowing “Darth Vader” to think he had started the car with the force. This ad was listed as one of the best Super Bowl commericals of all times by Digital Trends. Why it Did Well? It’s ”Star Wars” themed, features a kid who comes to believe he can do the impossible and has the dad be the hero. What’s not to like? No list of all time best Super Bowl ads would be complete without a Budweiser commercial. They are after all the nonofficial “King” of Super Bowl ads. Even though the company has created many immensely entertaining, trend inspiring (think the ‘What’s Up? ?’ commercial) and heartwarming ads for decades, perhaps the most touching was their 2013 entry. In the ad, you watch one of the majestic Clydesdale horses that is synonymous with the Budweiser brand as he grows up and was eventually sold to the Budweiser company to become part of their “team” of horses. When he sees his old owner during a parade, they are reunited, and the horse of course recognizes him after all the years that have passed. It is a heartwarming commercial that brings tears to the eye and has nothing at all to do with beer. Incidentally, this particular Budweiser ad achieved a rating of seventh best ad of all time from Athlon Sports. Why It Did Well? Again, it’s again a relatability issue. We all know what it’s like to love something or someone and have to “let them go” so they can achieve their purpose or fulfill their dream. You miss them, they miss you and it’s tough. Then, you are reunited, and all is right with the world if only for a moment. This oldie but goodie has to be included. After all, it is one ad that almost always ends up on any list of the best Super Bowl ads, no matter who is putting it together. Coca-Cola, like Budweiser, has had many good entries over the years, but this one is probably the all time favorite. In this commercial, a young boy cautiously approaches Mean Joe Greene, known for his intensely aggressive play on the field. As the boy approaches with a coke in his hand to give Greene, he seems to take the coke and walk away. However, just when you think he is going to stalk off, he turns and smiles, throwing his jersey to the kid. It was featured on both Digital Trends and Athlon Sports’ Best Super Bowl Ads. Why it Did Well? It proves there are two sides to every personality and being nice to even those who appear mean can yield benefits. What This Can Teach Marketers Today? Admittedly, writing a Super Bowl ad isn’t exactly the same type of marketing most of us do on a regular basis. However, the basic elements of the ultra-successful commercials can teach us something. We all want to feel like the writer has related their topic to us. We want to be able to identify with the issue. We also enjoy a good heartwarming story–or a hearty laugh. So when contemplating a marketing strategy, remember these points as a way to connect with your audience.